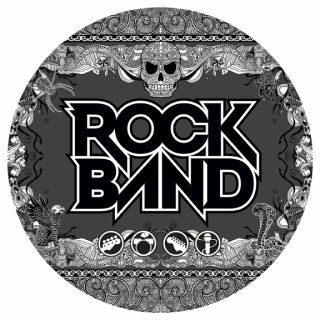 Rock Band 2 is out soon, with German audio specialist Sennheiser inking a lucrative deal with MTV Games and Harmonix Music Systems to let gamers sing through their virtual microphones, perform at sponsored virtual events, and use its branded virtual accessories. Sennheiser's Kristy Jo Winkler is "thrilled to partner with Harmonix Music Systems," though not as thrilled as TechRadar will be when we finally get to play the game, when we can buy up a bunch of virtual Sennheiser kit with our virtual in-game money in the virtual Rock Shop. The in-game mics on offer are apparently used by the likes of The Foo Fighters, Tom Petty and the Heartbreakers, and (*cough*) Girls Aloud. EA expects that the Rock Band downloadable music library will feature more than 500 songs by the end of 2008. Rock Band 2 is out. Soon. We hope!